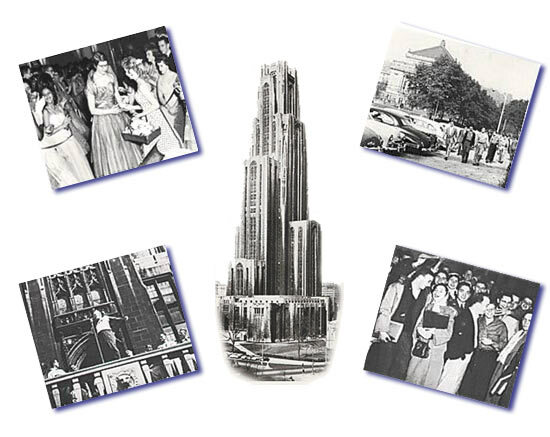 Pitt undergrads from 1950-1960, you have found the website designed just for you! Here you can return to memorable moments from your days at the University of Pittsburgh. These pages will put you in touch with the '50s Alumni Committee and inform you about Homecoming plans, 50th Anniversaries and news about classmates. Stroll down Memory Lane with us and relive college life. Reacquaint yourself with old friends and find new ones. Feel, again, the nostalgia and pride of your Alma Mater. PITT '50s ALUMNI HOMECOMING DINNER OCTOBER 17, 2007. BE THERE! A list of alumni attending the Reunion and donors will be found on the Volunteers/Donations Page.